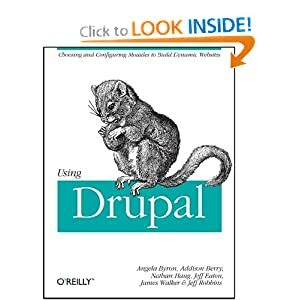 In recent weeks, I've seen a whole lot of FUD regarding the Drupal Community Working Group, and what it is they do or don't do. While I no longer serve in the CWG (I stepped down from all "extra-curricular" Drupal activities back in 2015 to focus on my family), most of the portrayals I've read are misinformed at best and completely inaccurate at worst. So, as an ex-member, who was uninvolved in recent events and therefore can perhaps speak more freely(? ), I’d like to try and clear up a few misconceptions I've seen. Some have characterized the CWG as some nebulous dark secret court of frothing SJW activists, gleefully acting as judge/jury/executioner, deliberately seeking out “bad apples" in the community to oust, laughing malevolently all the way. This is patently false, and nothing could be further from the truth. In reality, barring "flash point" incidents like the most recent one, it’s a pretty mundane gig. It mostly involves watching for something to be brought across your "desk" via an incident report, then trying your best as an unpaid volunteer—appointed based on your demonstrated ability to stay neutral and diplomatic in a crisis—to help empower people in the community to solve their own problems. "The aim of an action plan is to find a path forward that avoids additional harm to the community. Drafting an action plan should help people recognise what triggers these incidents and help them learn to respond differently by using alternative approaches to problem-solving. However, the action plan may also serve as a "final warning." If further complaints come to the CWG, further action may be necessary. As a group, our authority derives from Dries, and when necessary, we also consult Dries and involve him in the process." The template includes a summary of complaints (all of which have been already vetted by the CWG for validity), the impact the person's actions have had on members of the community, and a clearly outlined set of steps to perform to prevent future complaints (e.g. if you're feeling frustrated, WALK AWAY instead of engaging in online battles in the heat of the moment). The intent is to wake the person up a bit, to help them understand that their actions — regardless of how justified they feel they are in having taken them — have consequences, often on people they care about, and to give them a clear path to re-engage with the community in a constructive and healthy way. The CWG will bend over backwards to help people not get to that point, *especially* if they have an extensive contribution record. At a certain point though, if a “body trail” develops of people leaving the community because of an individual's conduct, it becomes something that needs to be addressed, especially if you sit on a governing body with the mandate to keep the community healthy. This is the situation that happened with chx, whose self-ban from the community was widely publicized, and which keeps getting brought up in the context of recent events as somehow related, which it is not. Some people might respond to this with "Well, then contributors should just grow a thicker skin." That's certainly one approach. However, you lose a lot of great contributors that way (and indeed, we already have), as well as a lot of new blood into your project. 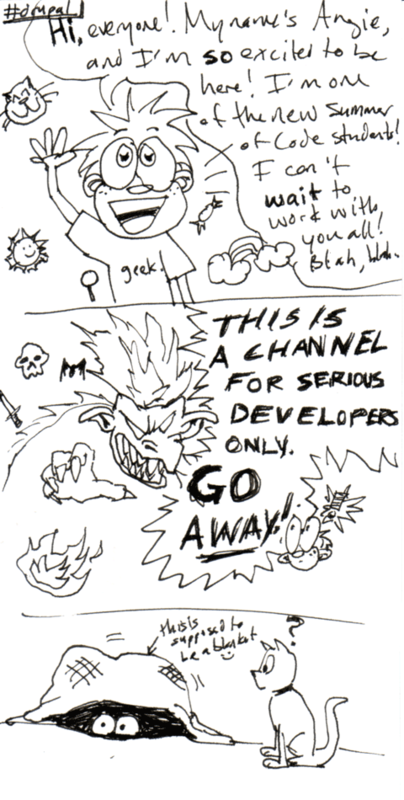 I've previously documented my first 5 minutes in the Drupal community. Had I not been "contractually obligated" to remain because of Google Summer of Code, that likely would've been my last 5 minutes in the Drupal community, as well. And there are 1000s of other contributors out there like "past webchick." Food for thought. Thanks for lending your voice to this!! We often talk about the problems with burnout and I imagine this last round events contributed a TON to the mental stress of Dries, Megan, and the CWG members lives. It's important that people recognize how much effort they're making to resolve issues they're not even directly involved in, all for the sake of the community. Thanks!!! First of all; I am sorry but I don't believe your objectivity, since you are Dries' pet for a long time (no offense). Like you said it yourself; "perhaps speak more freely(? )", your free speech is questionable. That being said; you got it wrong. Many people are blaming Dries and Megan (DA) for the recent events (rightfully If I may add), but not CWG. Dries says he doesn't condone the way some members dig dirt behind Larry's back and CWG is looking (or will be looking) in this issue separately. Why the CWG is looking at the issue now? Is this because Dries asked them to do so? They shouldn't wait until Dries asked them. They are doing it now because the incident grew a lot bigger then expected. Is this why they are looking into this issue now? Well, timing is very important as well as the actions. If CWG reacted strong to these members who collected private information behind another member's back, in an unethical way at best and in an illegal way at worst. And if CWG were to dismiss the collected information due to the way it has been gathered (like all courts do) then maybe we wouldn't have this incident grew this big in the first place. Is it a mistake? Yes !!! Is it a big one? Oh hell yeah, it's a very big one. Now Dries says he doesn't approve the way that some members collected private information behind Larry and he adds, CWG is currently handling the situation. Oh really? Why now? Why they didn't do the right thing at the right time !!!! Anyway, their big mistake looks small when compared to Dries', Megan's and DA's mistakes through out this incident. And like I said before, if there are 5 people out there blaming CWG about this issue, there are 55 people out there blaming Dries and Megan. Why did you choose to focus your energy to write about the low target CWG but not the high target Dries & DA? I mean I appreciate the extra info about the CWG inner workings but I don't understand what you really wanted achieve with this post. > since you are Dries' pet for a long time (no offense). Just because you write "no offense" next to something horrible and offensive doesn't magically make it not offensive. What the hell is wrong with you? Writing "no offense" alone, doesn't make it not offensive. But honestly, that wasn't my intention. But then again; who are you? I wasn't addressing you. And that line is pretty personal for someone else to take it on. There is only one person that I need to answer for that harsh (maybe offensive) line. And it is not you. You wrote this on a public blog post, with commenting enabled. What did you expect? You're being *extremely* rude here. I know you're upset, but that doesn't give you an excuse to be rude to people who have views different than yours. If you have something private to say, send an email. I also found Aaron's comment offensive. How can anyone NOT find being called someone's pet offensive? Like I said before, I care less about "other" people getting offended here (no offense). On the other hand, they used to call me "Teacher's Pet" when I was in college. People called me wasn't intended offense, hence I never been offended by that. This is the rose tinted version. The reality is when I finally found some balance in my Drupal contributions by working on migrate alone, then Xano attacked me and based on his lies eventually I got banned and not him. Now klausi and eaton attacked Crell and Crell got banned and the CWG didn't stop the bullying. Everyone knows hass is major nuisance in the queue and he is not banned. Whatever the CWG is , a force for good they are not. What I see recently is a big barrier when trying to contribute, and I think it's caused by a lot of spammers that just want to draw more clients that see their profiles with a lot of credited issues etc., even creating projects used only by their teams and not really designated for the community. Also with some issues I feel like getting into playground of mates that know each other since high school and just not paying attention to what the "new guy" has to say. The Larry issue made things even more complicated and probably started a fire when there was a lot of highly flammable material accumulated :( On the other hand, since I've become a Drupal dev, I'm very busy all the time with only quite short intervals when I can purely contriute and have to find ways to make something that both the client will use and will be usefull to the community. It's a problem when something grows too big and starts to decay from the center, maybe there is a way to make it stop growing in size and focus on quality? If you find it off-topic, just hit that red button. 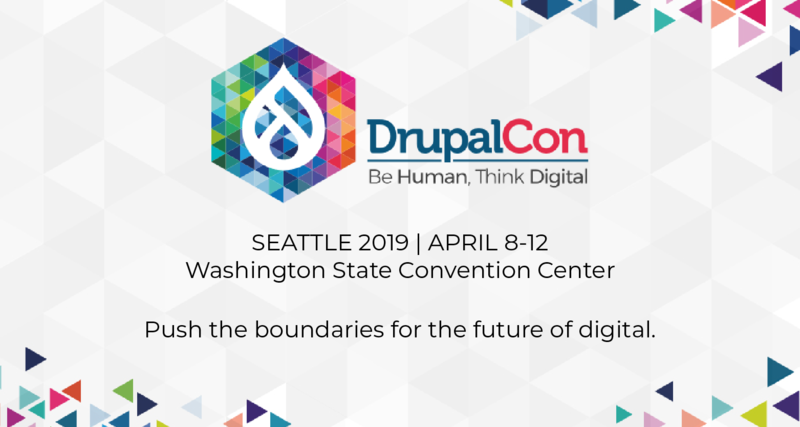 About Drupal goes a lot of controversies. The controversy goes around any great creations. For example confrontation of Mac OS, Windows, and Linux. All these systems are good, but each for their own purposes. Half a year ago there was a meeting of the Drupal community in my city dedicated to the anniversary of the release of Drupal 8 at which I presented my report about 20 facts of the power of Drupal. In addition, I write dissertations and research papers for the EssayShark company.